Art Winstead joined DMJ in 1978 and was named a partner in 1984. He is a general services partner in the Greensboro office and is the firm-wide Accounting, Auditing, and Quality Control Partner. He serves as team captain and team member for on-site peer reviews and off-site engagement reviews throughout the country and State of North Carolina. Art is the current A&A Consultant-Director for CPAmerica International and has also served as Chairman of the CPAmerica Accounting and Auditing and Continuing Professional Education Executive Committees. Art is a consulting and testifying expert witness on accounting, auditing, and financial matters. His clients have included state and federal government agencies and major law firms, involving both commercial litigation (assisting both plaintiff and defense) and white collar criminal defense matters. He has either provided testimony or been deposed in local District and Superior Court and U.S. District Court. Art has also authored numerous CPE courses and articles regarding accounting, auditing, fraud, and ethics. Art has served on the State Mobility, Regulatory Response and Global Standards Committees of the National Association of State Boards of Accountancy (NASBA). He recently served a three-year term on the AICPA Auditing Standards Board, in addition to serving six years on the North Carolina Board of CPA Examiners. On the Board of Examiners, he served as President and Vice President and Chairman of the Professional Standards, Audit, and Personnel Committees. He is also a member of the North Carolina Association of CPA's Peer Review Executive and Audit and Accounting Committees. 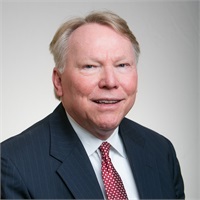 He has served on the following AICPA ASB Task Forces: Risk Assessment, Auditor's Report, Internal Control, and chaired the Task Force for Special Considerations-Fair Value, Inventory, and Litigation Claims and Assessments. He currently serves on the AICPA Board of Examiners Practice Sponsor Group for the current evaluation of the future of the CPA exam. He teaches Ethics for CPAs and accounting and auditing continuing education courses throughout the country. Art enjoys spending time with his wife, two daughters, and his immediate family. He is an avid golfer and often plays at Starmount Forest Country Club, where he served on the Board for seven years, including one year as President and now serves as the current Board President.